The Solicitors Regulation Authority recently published the latest edition of its annual Risk Outlook. This report provides guidance on where the SRA is focusing its attention and why. 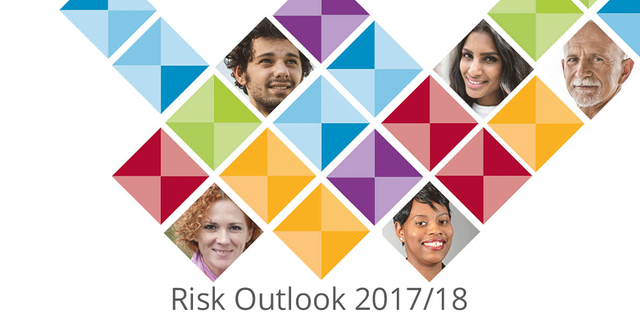 Here’s a quick summary of the issues identified in the 2017-18 Risk Outlook and some resources for firms who need support. Residential conveyancing is the most complained about area of law, with 20% of complaints received by the Legal Ombudsman in 2013 to 2016 relating to conveyancing. The report also notes, however, that in the year to March 2017, more than one million people engaged with conveyancing legal services in England and Wales – so with that many consumers it’s hardly surprising that conveyancing generates such a large proportion of complaints. Effective complaint handling at the initial stage can make a huge difference to an aggrieved client. For advice on how to reduce and/or resolve complaints, why not attend our Don't be an Ostrich: Effective Complaints Handling course? You can find out more about this in Solicitors Journal. Information security is an extremely hot topic, especially with new data protection laws on the horizon, and the SRA says it receives around 40 reports of confidentiality breaches each month. While information security might be most commonly thought of as a technology or systems issue, the SRA notes that many cyberattacks target human error. One example would be an email appearing to be from a senior member of staff asking for payroll information, from a criminal intending to carry out identity fraud. Keeping client money safe is a key responsibility for solicitors, but the report notes that from the first quarter of 2016 to the end of the first quarter of 2017, solicitors reported over £12m of client money stolen by cyber criminals. Conveyancing is a hot spot for cyberattacks due to the large amounts of money changing hands. A classic example here would be ‘Friday afternoon fraud’ where a solicitor receives an email claiming to be from the other side, requesting completion monies to be sent to a different account. In the rush to complete, security checks can be overlooked. For practical advice that will help you mitigate this risk, our Cybercrime and Fraud in Conveyancing course is a must-attend. 2017 is a bumper year for rules relating to money-laundering prevention. The snappily named Money Laundering, Terrorist Financing and Transfer of Funds (Information on the Payer) Regulations 2017 came into force in June 2017, just days after the final version was published. The Criminal Finances Act 2017 is expected to come into force later this year, and of course at some point we anticipate new SRA Accounts Rules – even if those won’t come into force for some time yet. If you need help navigating your way through the new rules, our new money-laundering compliance course is taking place at venues across England in the autumn. The SRA reports that diversity is improving but that there is still much work to be done, especially in relation to larger firms which are, typically, much less diverse than smaller firms. While many firms have schemes in place to encourage diverse applicants, unconscious bias is considered to be a stumbling block. To learning more about recognising and managing unconscious bias, why not watch our forthcoming webinar? You can find out more about all of CLT’s courses, conferences and webinars at www.clt.co.uk. We all live and work in a fast changing world. I think that makes it all the more important that people can place trust and confidence in the Rule of Law, legal services and those who provide them. Our new Risk Outlook sets out eight priority risks that matter to all solicitors and all law firms. These issues, if not managed, risk harm to the public, the Rule of Law and the proper administration of justice. Many of these risks will be familiar to you. That is because challenges such as keeping information safe, cybercrime and compliance with anti-money laundering regulations do not go away and need your constant attention.